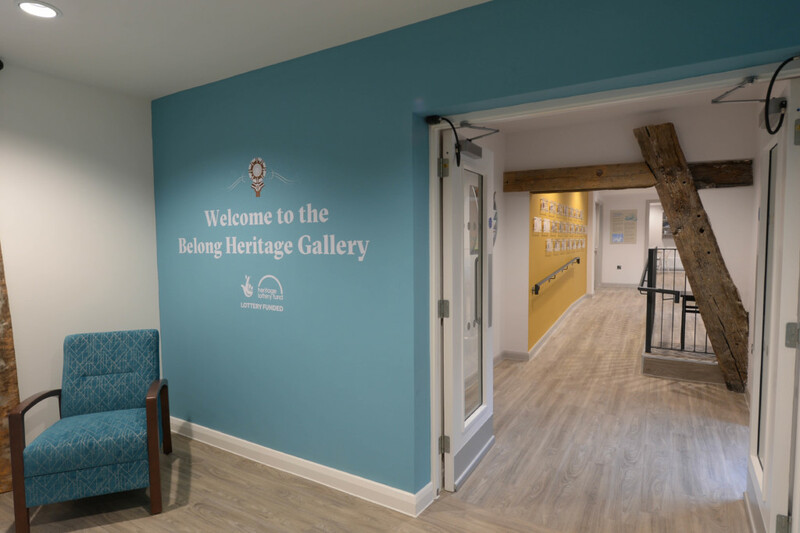 Visitors to Belong’s latest care village in Newcastle under Lyme are greeted with a friendly and bustling atmosphere as they arrive in its café reception area. The café provides a vibrant meeting place where residents and their families mingle with the local community. As my guide for the day, Tracy first takes me through the Belong story. Belong was born in the early 1990s when it was formed as a not for profit organisation to take over the running of local authority care homes. The organisation was originally set up to run 40, 40-bed, 1960s-built homes for Cheshire County Council. 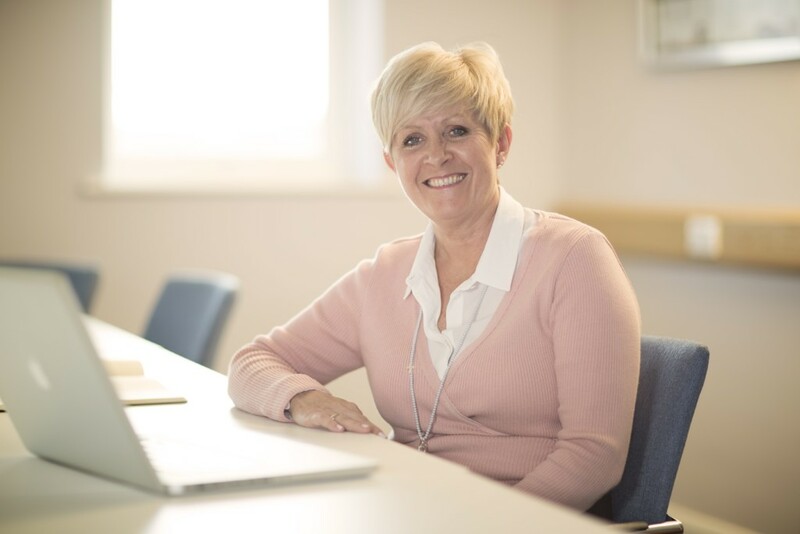 After taking on a 11 further care homes in Wigan later in the 1990s, Belong became the largest residential care provider in the North West, however, Tracy and her colleagues were beginning to see the limitations of the care model. 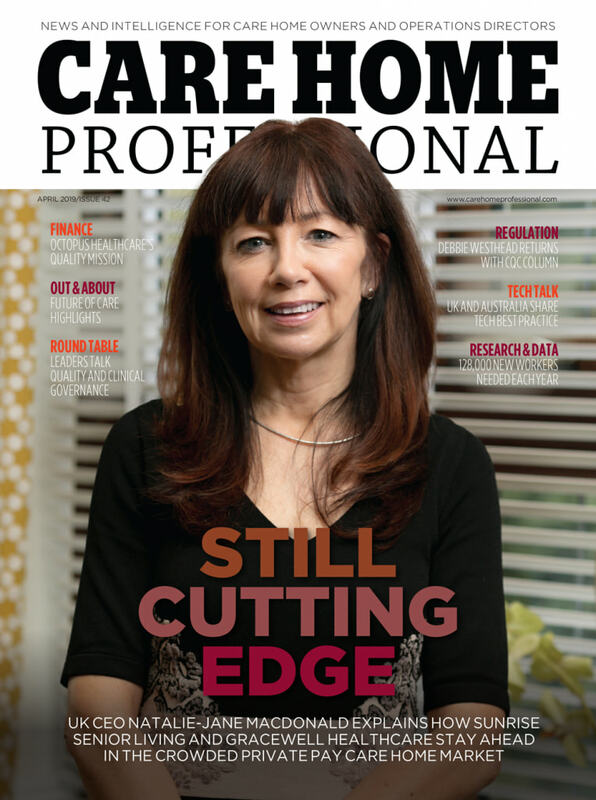 “The homes were built for a more independent living customer group,” Tracy told CHP. “There were no en-suite facilities. They had tiny bedrooms and were not really suitable to take us forward and to meet the needs of our increasingly frail client group. In the course of developing its dementia strategy in 1997, Belong looked at creating 10 bedroom households attached to its existing facilities. “We did that in a couple of areas and developed a few extensions,” Tracy said. Tracy and her team then began working with architects Pozzoni to develop a 10-12 bed household model. Their ideas had been informed by research trips to Australia and De Hoogewyk in the Netherlands where residents with a wide range of conditions are allowed to mingle freely in small, secure communities. “Visiting De Hoogewyk and other facilities gave us the confidence to say this is the way forward,” Tracy said. “If we could support a person living with dementia then it would be fit for everyone really. The Belong strategy became to replace small residential care homes with a larger care village setting that was more viable with a different design model. 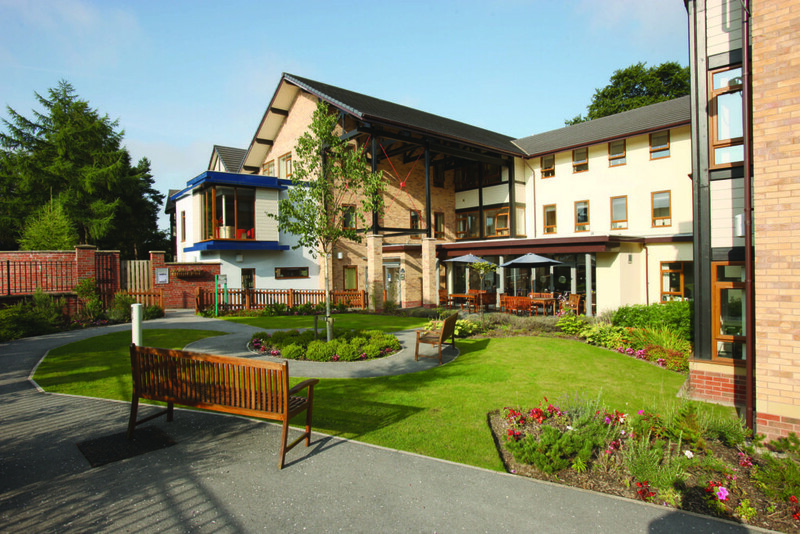 While initially, this saw some sites redeveloped, the strategy resulted in the gradual sale of its care home portfolio, with the last ones being divested in 2015. “We focused on designing out corridors and creating open plan households,” Tracy said. “We also wanted a bistro instead of a dining room,” Tracy added. Being accustomed to the standard segregation of the typical three-storey care home split into residential, nursing and dementia floors, CHP was refreshed to learn about the Belong model which allows people of all needs to mix freely. “We don’t segregate the households according to people’s diagnosis, ages, backgrounds or funding,” Tracy pointed out. “It’s about finding 12 people who are going to be able to live together. It’s a very integrated, holistic approach. The villages have adapted the core principles of dementia friendly design. “It’s not rocket science,” Tracy said. “It’s about people understanding their environment, feeling they are in the right place, providing easy way-finding, recognising memories that are meaningful to people and also caring for staff and helping them to support people. “We initially avoided any patterns in our first villages but then they felt quite stark. Then we realised what we were trying to do was make our households feel like home. The dementia friendly design approach led to the removal of mirrors from lifts as they confused some people into thinking they were full. In terms of people’s rooms, Belong was able to take a more personalised approach by only removing mirrors when necessary. Personalised signage is used around the households to help people find their rooms but Tracy said she remained unconvinced about the merits of memory boxes. “They can become very uniform and some residents did not want to see their personal possessions outside their rooms,” Tracy explained. Tracy stressed it was again about consulting people on their personal preferences, in this case, on how they wanted help with identifying their room, and providing opportunities to display personal possessions within their private rooms. Belong has introduced Person Centred Software’s digital care planning system across all its villages so that staff are better able to monitor and assess people’s behaviour and the things that lead up to incidents. 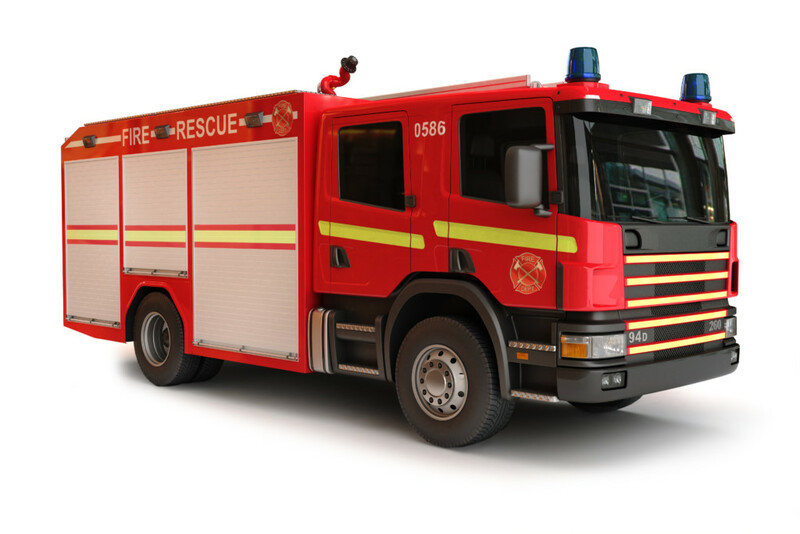 “We use it for training and getting staff to refocus on what they do,” Tracy said. “We looked at lots of electronic software but this is the most intuitive. 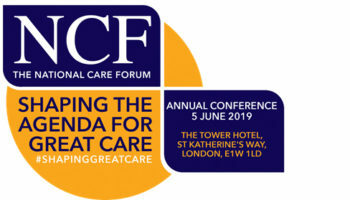 “The care plans are populated with a person’s life plan and assessment and everything we need to know about them to effectively care for individuals. “Staff can very easily record interactions on their mobile handsets. It gives them more time to do what they want to do with the customer rather than sitting and writing reams of records. We are actually making more electronic records in less time than we would have done on paper. Belong also uses Medicare’s e-medication system in four villages. 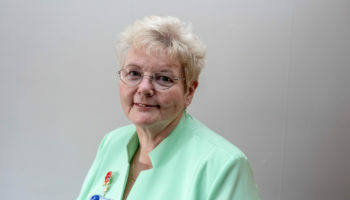 “It’s useful in providing more information for safe care management in terms of identifying where mistakes have happened or reducing the risk of them,” Tracy said. The villages also use bed and room sensors to detect movements to help prevent falls by knowing when someone is out of bed and avoiding staff having to go into rooms to carry out checks. The sensors help promote independence by switching the light on in the toilet when a resident gets out of bed. “The downside of that is that staff might carry on doing checks because they don’t necessarily trust the technology,” Tracy noted. The Belong Deputy Chief Executive said she remained to be convinced about acoustic monitoring systems. “For us, I think it needs some thought around how staff are allocated, the design of our building and the needs of residents,” she said. “We have it on our ‘we need to trial’ list. Belong employs a Practice Development Facilitator in each village and dementia trainer, as well as developing each household to have its self-functioning team with a leader. A shift nurse is also on hand to serve people around the village and support staff providing day to day care. Admiral Nurses are also employed to offer specialist dementia support. The informal Belong approach to care means there are no medication trolleys or staff uniforms. The 12-bed households are open plan so residents can see lounge areas and dining spaces from their bedrooms. “It gives people a nice sense of security that there is always somebody home and staff are always in and around the kitchen,” Tracy said. People who are still physically mobile are free to get involved in the kitchen with tasks such as washing up. “Twelve is our optimum number per household,” Tracy noted. Tracy said there was a danger of losing intimacy in households of any greater numbers. 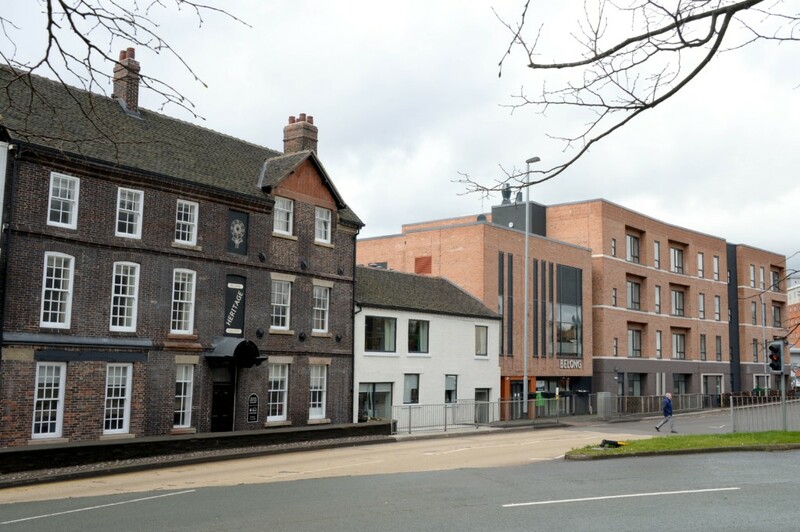 The £13.5m Newcastle under Lyme development, which opened in April, is the seventh Belong Care Village. The first village opened in 2007 in Macclesfield. A further two villages are being built in Southport and Chester with a further two planning applications submitted in Nottingham and Birkenhead. “Initially, we identified four sites which were big enough to accommodate a care village and could be redeveloped,” Tracy said. Newcastle under Lyme was the furthest south site. “This wasn’t an area we had operated in but Belong Crewe was only 12 miles up the road,” Tracy said. With their history of being developed on urban care home sites, Belong villages are centred in the heart of the community, with all the benefits that entails. As Belong Newcastle-under-Lyme demonstrates, the villages have an open and vibrant atmosphere with strong community links while also having good access to the local workforce. “This is what makes our villages more vibrant,” Tracy said. “Sitting ourselves in the heart of the community. It’s enjoyable for the people who live here and offers transport links for staff and families. “It’s about opening our doors to the public and embracing the community,” Tracy said. Around 70% of Belong’s customers are self-funders with fee levels averaging from £900-1,000. “We can’t provide this environment and staffing levels on local authority fees,” Tracy explained. The Belong village model also incorporates apartments ranging in number from 12 at Crewe to 54 at Wigan. “Future developments will hold 26 plus apartments,” Tracy noted. Apartments are available to buy or rent or half purchase. “We buy them back at the price the person has paid so people don’t make any money but they don’t lose any either,” Tracy said. Belong recently raised £50m through a retail charity bond, with £35 million borrowed initially; it was the second in the sector, following on from fellow provider Greensleeves. “The proceeds are being used to further Belong’s charitable objectives as well as to finance the new developments in Birkdale and Chester,” Tracy told CHP. “We have to reach full occupancy here and in Didsbury before we go onto our next village developments but we have been very successful in our occupancy, which averages 97.6%. We usually have our villages full within the first two years. Belong holds three ‘outstandings’ for its Atherton and Crewe Viilage and its Crewe homecare service. “The regulator has now started to identify what the whole village has to offer,” Tracy noted. The provider is currently working with some early years specialists to look at how it can include intergenerational care within its villages and to build on the relationships with local nurseries, schools and colleges.